Morton’s Feldman’s graph music—a music of empty boxes, silent about which pitches should be played—changed Cage’s work forever. For Cage, Feldman demonstrated the possibility of a music in which the composer’s identity was not only minimized, it was wholly absent. It opened the door into emptiness itself. And once there, Cage saw that rather than being an emptiness with nothing in it, it was an emptiness that was full of sound. By not mandating specific sounds, the composer could allow any sounds to appear. This liberating emptiness was the place he had been seeking since picking up the works of Coomaraswamy and Ramakrishna in the mid-1940s. When a composer feels a responsibility to make rather than accept, he eliminates from the area of possibility all those events that do not suggest the at that point in time vogue of profundity. For he takes himself seriously, wishes to be considered great, and he thereby diminishes his love and increases his fear and concern about what people will think. There are many serious problems confronting such an individual. He must do it better, more impressively, more beautifully, etc. than anybody else. For somethings one needs critics, connoisseurs, judgments, authoritative ones, otherwise one gets gypped; but for nothing one can dispense with all that fol-de-rol, no one loses nothing because nothing is securely possessed. When nothing is securely possessed one is free to accept any of the somethings. How many are there? They roll up at your feet. If you let it, it supports itself. You don’t have to. Each something is a celebration of the nothing that supports it. When we remove the world from our shoulders we notice it doesn’t drop. Where is the responsibility? If the effects [of our actions] on us are conducive to less separateness, less fear, more love, we may walk on then regardless of the others. Out of that lack of regard for the others we will not feel the need to be competitive, for as in those silences that occur when two people are confident of each other’s friendship, there is no nervousness, only a sense of at-one-ness. The “Lecture on something” is a vivid manifestation of the excitement, the enthusiasm, and the joy that followed Cage’s glimpse through the door that Feldman had opened for him. The whole lecture is like one long exhalation, releasing the tensions of the 1940s. It was only now, at the end of his journey, that he was ready to sit down with his chart, his book, his pencil and paper, and to toss coins in silence. All that was left for him to do was to use chance as a means to step aside himself, and watch the last movement of his concerto appear before him. 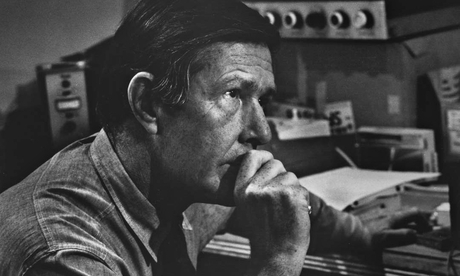 This was John Cage’s encounter with emptiness, his realization of the true nature of sound and music. It was a deeply meaningful experience for him, one that he could not communicate directly through words, but which changed the way he lived his life and did his work. After this, he lived as a composer who asked questions rather than made statements, and who accepted the way things came to be as the result of the chance conditions he created to answer those questions. Like the fat man bearing gifts who appears after the empty circle in the Zen ox-herding pictures, Cage embarked upon a period of extreme creativity and productivity following his entrance into silence. Later, he remembered walking through the night with Feldman after the composition of Projection, telling him “now that you have opened up this world, let us see all the things that are in it.” One imagines the stars shining brightly above them, even in lower Manhattan. The “Lecture on something” appears in Silence, pp. 128-145. Tied together by their titles, the “Lecture on Nothing” and “Lecture on Something” naturally form a pair; they have become the definitive Cage lectures. What is remarkable and little-noticed is that these writings that define Cage for us were written at a time when he had not yet written a note of chance music, had not had his experience in the anechoic chamber, had not written 4′ 33″ — in short, before any of the important features we associated with Cage’s music were in place. They define “John Cage”, but were written before the “John Cage” that we take them to mean was really in existence.Cage’s reminiscence of walking through lower Manhattan with Feldman is in the Radio happenings I-V (Cologne: MusikTexte, 1993), p. 17. Copyright © 2019 James Pritchett. All rights reserved.